Dr. Binghao Li is a VC's Post-Doctoral Research Fellow in the School of Surveying and Spatial Information Systems, The University of New South Wales, Sydney, Australia. Binghao obtained B.Sc. in Electrical & Mechanical Eng. from Northern Jiaotong University, P.R. China in 1994 and M.Sc. in Civil Eng., Tsinghua University, P.R. China in 2001. He received his Ph.D. from the University of New South Wales, Sydney, Australia in 2006. 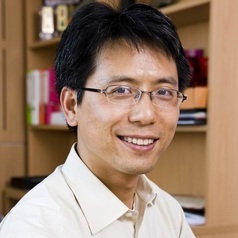 His research area is pedestrian navigation, new positioning technologies and network-RTK.